Tezpur Lok Sabha MP, RP Sarma, lighting a ceremonial lamp to mark opening of Post Office Passport Seva Kendra at Tezpur. The fourth Post Office Passport Seva Kendra (POPSK) in Assam was opened at Tezpur Head Post Office campus on Monday by the Tezpur Lok Sabha MP, RP Sarma, during a colorful programme at Tezpur in Sonitpur district for the greater interest of people of north bank of the Brahmaputra Valley. The POPSK will be completely run under control of the Regional Passport Office based in Guwahati. The Post Office Passport Seva Kendra started functioning from Monday with online receiving and verifying documents. The ceremonial opening function of the Post Office Passport Seva Kendra was held at the District Library auditorium in Tezpur. Apart from the Tezpur Lok Sabha MP, RP Sarma, the inaugural ceremony was also attended by the Chief Post Master General Vishvapavan Pati. 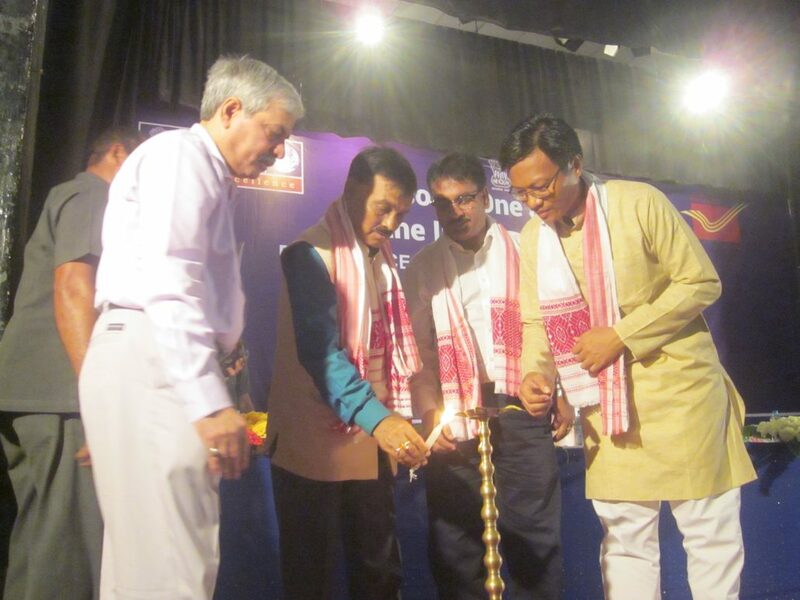 The inaugural function was also attended by the Regional Passport Officer, Naorem J. Singh and other senior officials of the Regional Passport Office in Guwahati and the Postal Department among others. He also mentioned that Tezpur will get regular air connectivity within this month as the procedure in this has been completed.